When you have a newborn with colic you will try almost anything to make your baby stop crying. 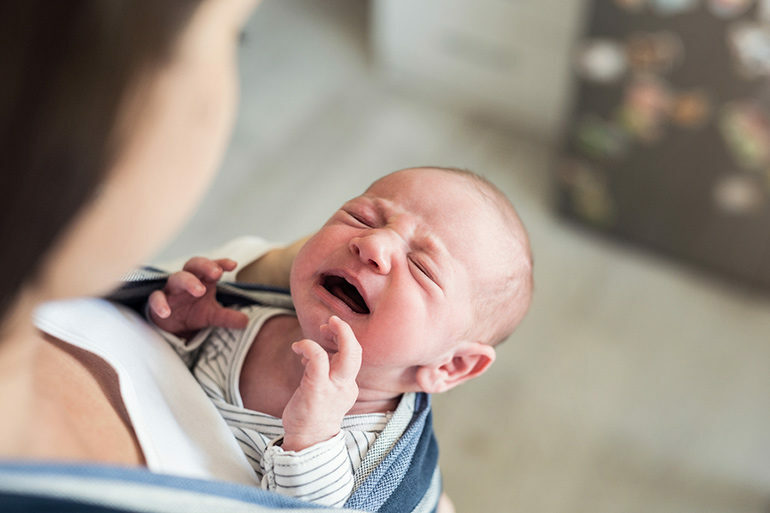 While there are plenty of different formulas to reduce colic on the market, Australian researchers have confirmed there is a probiotic which really does work miracles when it comes to settling colicky babies. The probiotic is lactobacillus reuteri, already used widely to maintain digestive and intestinal health. You can find the probiotic in supplement form and in some of our favourite foods, such as yoghurt. Many colic formulas already contain lactobacillus reuteri (among many other different ingredients), but there has never been any conclusive evidence suggesting it actually works. The studies took place in Italy, Canada, Poland and Australia and included 435 infants with colic in total. All studies came up with the same result: the probiotic is effective for babies with colic who are exclusively breastfed. However, for formula fed infants, the probiotic may not give you the solution you are searching for. “The probiotic is effective for breast-fed infants with colic, but is not effective for formula-fed infants with colic,” says Dr Valerie Sung from Murdoch Children’s Research Centre. While not all babies in the trial responded to the probiotic, the studies found that exclusively breastfed infants in the study who received the probiotic were twice as likely to reduce their crying by 50 per cent after three weeks of treatment. You can find the probiotic in basic drop form at most chemists, which is the suggested method of treatment to help reduce colic. “It should be given directly to the baby as five drops a day for three weeks.” says Dr Sung. Of course, not all babies are going to respond to this treatment, but it is certainly worth a shot! You may also want to try this colic cure or this air-free bottle.